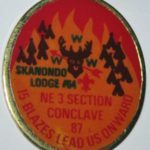 The rest of this message lists the lodges of this region by current OA section showing what BSA area they will be part of under the reorganization. As with the Southern Region reorganization post, I need to stress that this is not necessarily how the OA sections will be organized. While sections follow area boundaries, in so much as lodges must be in the same BSA area to be in the same OA section, they may also be a subdivision of an area. Go read John’s post and than come back here for a slightly different take on how if effects the NY Lodges. John looked at the current section makeup, and noted what area they would be moving to. Here is a look from the other direction. What the new Area’s will look like for the New York State Lodges. This does assume that each BSA area will match the Section alignment. NY Lodges in bold. 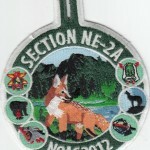 NE-3 – a NY only section mainly the old NE-3A and NE-3B. Central & Western NY with the Southern Tier. NE-7 – Everything old is new again. Looks like the old Area 2-J, reunites Long Island with the metro NYC lodges. Remember the purposes of the areas in the BSA and the sections in the OA. Areas are a management construct for the BSA to manage councils and their employees. The Order of the Arrow establishes sections for the primary purpose of the section conclave and various training initiatives. …that the Northeastern region is also to be reorganized, effective July 1st, 2008. Since three of the NY Section conclaves will take place in August 2008, I would expect any Section realignment to be effective after the 2008 conclaves. 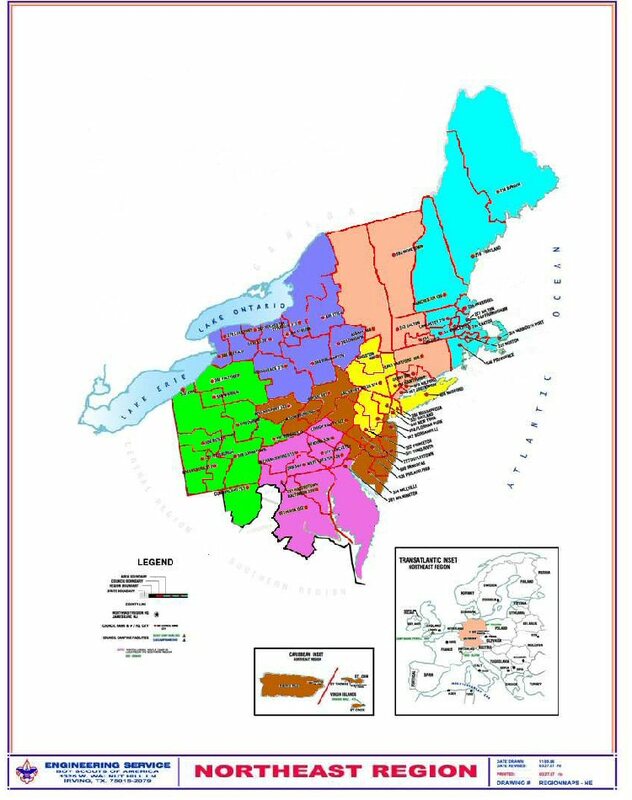 Northeast Region OA Realignment – Breakup GNYC? NE-7 looks like what was NE-3A back in the late 70s when I was in 360. There’s been a merger since then (the formation of 86). Three other lodges in NE-3A (482, 506, 562) are now in other sections. The NE-3B conclave will also be held in mid-August. It would appear that NE-3B will lose 2 of its lodges following its conclave. With there being 10 lodges in the NE-3 area, as well as a few others, I would make a guess and say that there may not be an OA section subdivision within the area. One wonders what the final alignments will be. My favorite bit of the alignment is that the Maryland lodges are back to being in NE-6, which was the area used when they were first moved from SE into NE back in ’83. Not sure how even that is. 427 is pretty small. Maybe NE-7 will be split. 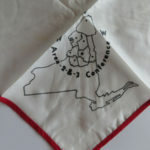 The territory covered by NE-3 is reminiscent of the territory of the many lodges that converged at Camp Cutler for the 1995 NE3-A/B Co-conclave. The only additions are Onteroraus and the territory of the former Kamargo Lodges. I like how after being split between NE-3 and NE-4B in 1997, the powers at be have decided to reunite NE-5 once again. Western PA and Ho-Nan-Ne-Ho-Ont 165 harken back to the 3-B and 3-F days. Because it’s a nice set of 11 lodges, hopefully they won’t subdivide it. New York OA Trader | Northeast Region OA Realignment - Breakup GNYC? « Global Warming, No … Little Ice Age, No … Climate Change?